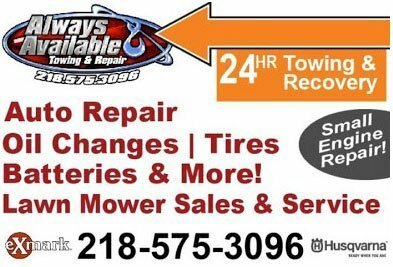 Providing 24 hour towing and emergency roadside assistance. We accept all motor clubs. Repair and maintenance of all foreign and domestic vehicles. Official NAPA Auto Care Center and certified as AAA Approved Auto Repair. ASE certified mechanics on staff. Also, providing used car sales and consignment sales. All major credit cards accepted.